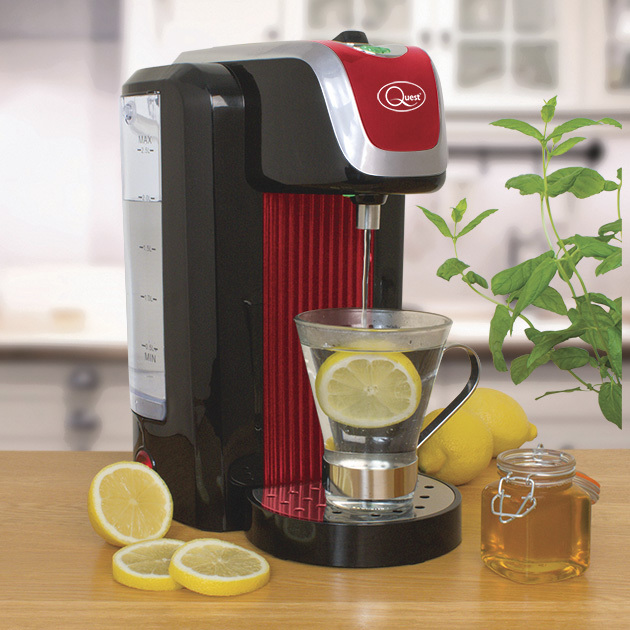 Sleek & contemporary stylish 2.5L Instant hot water dispenser. 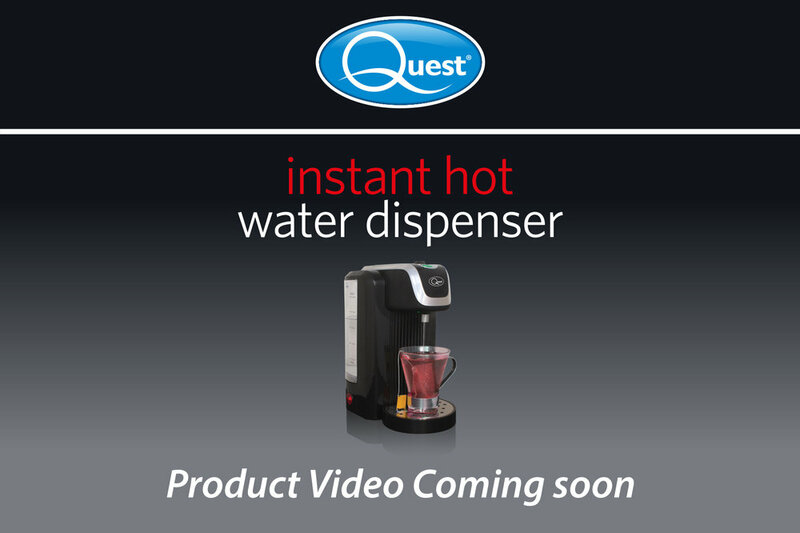 No more waiting for the kettle to boil, with the Quest Instant Hot Water Dispenser. 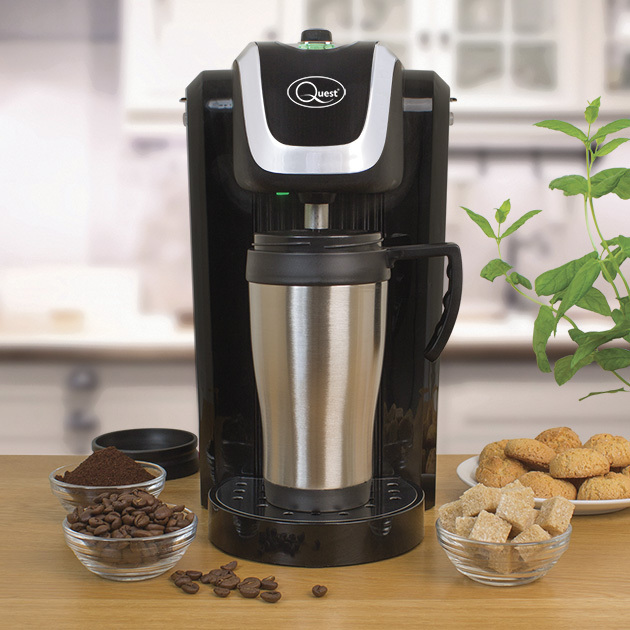 The stylish black and silver exterior hides a 2.5L removable water tank which in tea/coffee terms is 8-10 cups at the touch of a button. 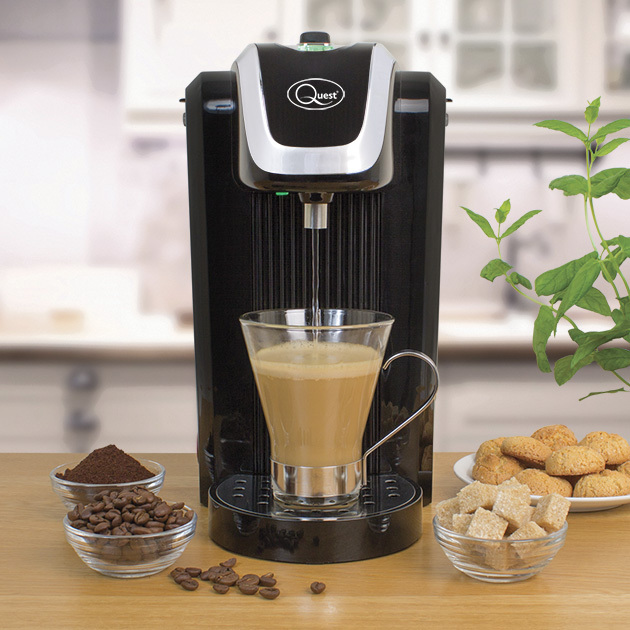 The water is at 95°C and means you don't need to keep boiling a kettle saving energy and time as you have hot water instantly. 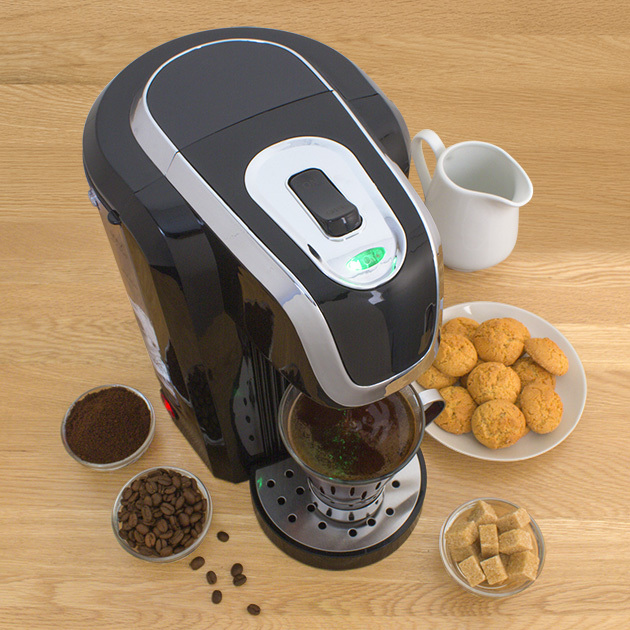 The drip tray is also removable so is easy to use and live with. 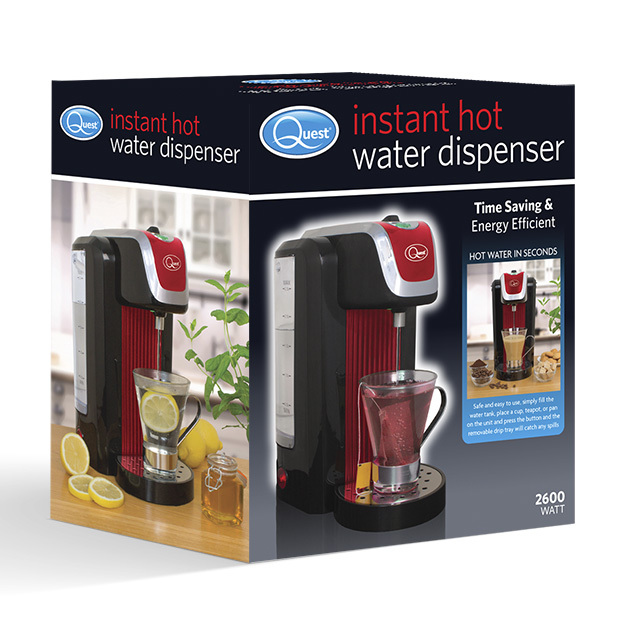 Use for cooking as well as drinks when you need hot water, you will wonder how you did without this Quest instant hot water dispenser. 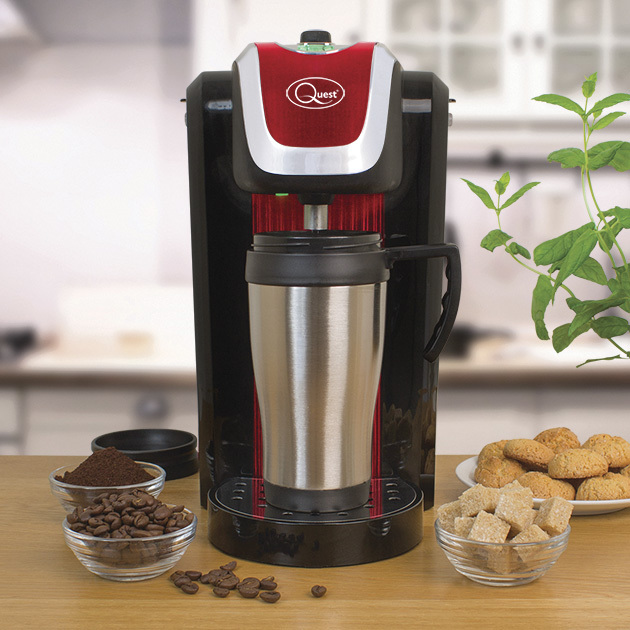 The tank can be easily filled in two ways: flip up the lid and pour water directly into the tank, or remove it, and take it to the sink via the integrated handle. This feature also makes cleaning the tank a breeze!